By considering the entire life cycle, placing a recycled part back onto the market produces less impact on all environmental aspects than manufacturing a new OEM or generic part. Vehicle parts recycling makes it possible to prolong the life of still functionnal parts, which would otherwise be sent to salvage. It was confirmed that reusing auto parts is more beneficial than scrapping them. The table below presents how much the carbon footprint of certain parts is reduced for a recycled part, compared to a new part. On the right, the equivalent amount of greenhouse gas is showed, according to the amount produced by a car. Why are recycled parts more beneficial to society? 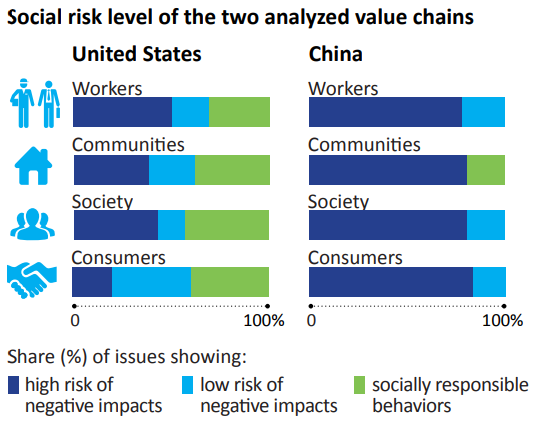 Original parts from the American supply chain and recycled by ARPAC members generate fewer social risks and more potential benefits than new generic parts originating from the Chinese value chain. ARPAC members follow a code of ethics that makes them accountable to stakeholders. 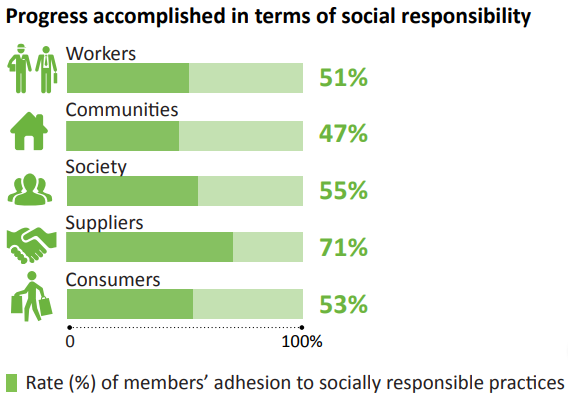 While several ARPAC members have implemented socially responsible practices, there is still room for improvement. Interested in learning more? Check out the Analyse environnementale et socioéconomique du cycle de vie de la filière québécoise de recyclage de pièces de véhicule (French document). This report, prepared by Quantis and Groupe AGÉCO for ARPAC, contains a lot of information on auto recycling in Quebec and its impact on the environment. The following resources target mainly recyclers completing dismantling tasks. Links and documents are grouped by subject: open the corresponding section for more. Enviro-compétences vous permet de suivre la formation sur les halocarbures en ligne, au gré de vos disponibilités. Your propane tanks, time bombs? Une toute nouvelle section dédiée aux recycleurs de pièces d’automobiles vient d’être ajoutée au site Internet d’Auto prévention. Le Centre patronal de SST vous offre des activités d’information de choix!